Being my own boss, there’s no one to give a PASS but myself. You know the term KISS – Keep It Simple, Stupid? 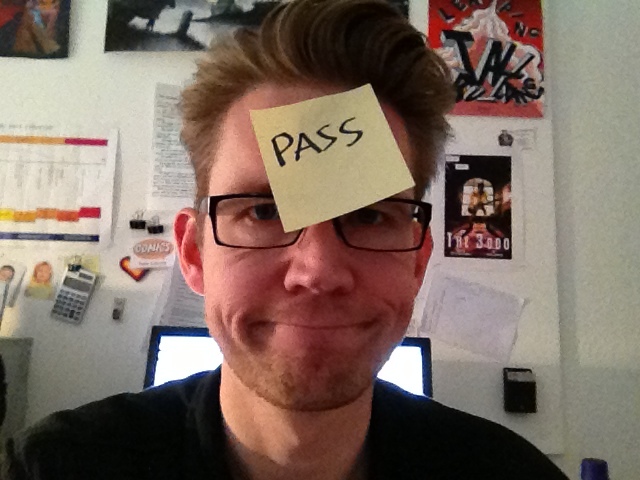 Today I invented the term PASS – Plan Ahead, Stupid, Stupid. (Well, it had to be four letters I think). That note is going up on my wall. I’m kind of between projects at the moment, and I did the mistake of NOT having anything planned for today’s work. Kitchen talk at the studio for half an hour and the wasting an hour on YouTube. Saw some great clips with comedian Ricky Gervais, but how does that help my work life? So my Tip of the Day is a no brainer, something I usually practice: Plan ahead. Know what you will be working on next day, have a prioritized to-do list. An empty desk and an empty calendar is not very motivational and even though I have PLENTY of stuff I COULD do, I end up spinning the wheels all morning, going nowhere. Perhaps I’m being too hard on myself. But who else is gonna be, right?